The winners of this year’s Offies have been announced in a ceremony at The Albany in Deptford. People recognised include Mimi Ndiweni for Best Female in a Play for her performance in The Convert at the Gate Theatre and Ken Nwosu for Best Male in a Play for his role in An Octoroon at the Orange Tree Theatre. Ned Bennett also won the Best Director for his work on An Octoroon, which transfers to the National Theatre later this year. 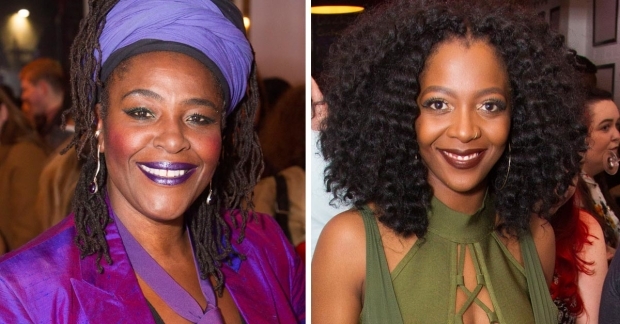 The Life at Southwark Playhouse took home four awards for Best Musical Production, T’Shan Williams for Female in a Musical, Cornell S John for Supporting Male in a Musical and Sharon D Clarke for Supporting Female in a Musical. Southwark Playhouse also scored high in winners, with Michael Rouse winning Male in a Musical for Superhero which ran at the venue, and also got the Best New Musical award. Other winners of the evening included Katie Bonna for Most Promising New Playwright for her piece All The Things I Lied About at Soho Theatre, Theatre Ad Infinitum’s Bucket List at Battersea Arts Centre for Ensemble and Deafinitely Theatre’s production of Contractions for Best Production. Read the full list of winners below. The Offies were announced in a ceremony at The Albany in Deptford on Sunday, with London’s night czar Amy Lamé hosting. Guest presenters included Sheila Hancock, Katie Brayben, Robin Soans, Louise Jameson, Linda Marlowe and Isobel Waller Bridge. The Offies recognise work created in Off-West End venues across London, with over 190 shows assessed at around 60 venues in London. A team of assessors and super assessors see the shows and winners are decided by a panel of judges including WhatsOnStage’s Daisy Bowie-Sell, The Stage‘s Mark Shenton, The Arts Desk’s Matt Wolf, Time Out‘s Andrzej Lukowski and The Guardian‘s Lyn Gardner.